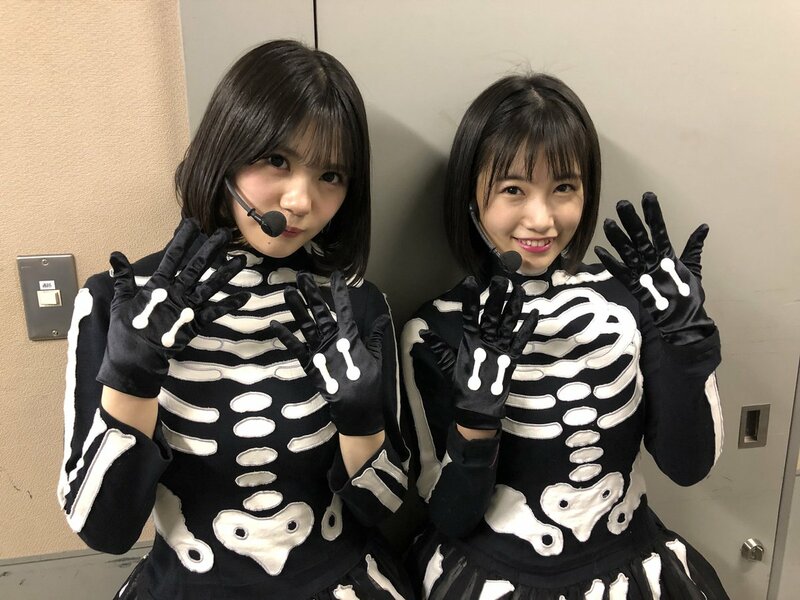 Discussion in 'HKT48 News & Releases' started by DeJure, Nov 2, 2017. HKT48 is holding events for their 6th Anniversary over three days, 24th - 26th November. "The theme for the 6th anniversary is ROCK! Fukuoka is a region which is deeply tied to rock music. It's the birthplace of"Mentai Rock" in the 1970-80, and this style had success all over Japan. The rebellious soul of this rock style still continues on today, even inherted beyond the genre. And since HKT48's debut in 2011, we have continued running foward with this heated soul of rock in our hearts! Continued to fight alongside everyone! We'll give our LOVE, PEACE and thankfullness to the most important people in the world!" 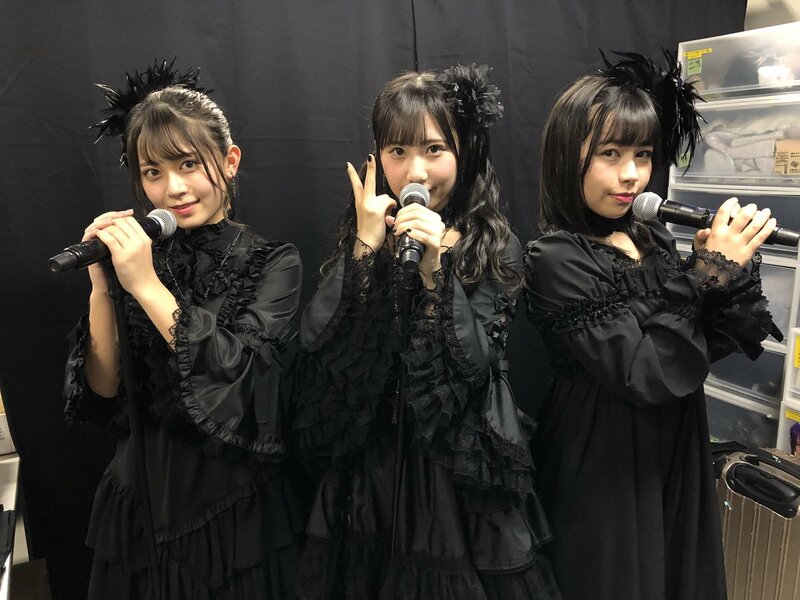 10:30 JST - 2nd Generation members fan meeting, consisting of a 'talkshow' and performance of Nounai Paradise. The performance is on DMM. 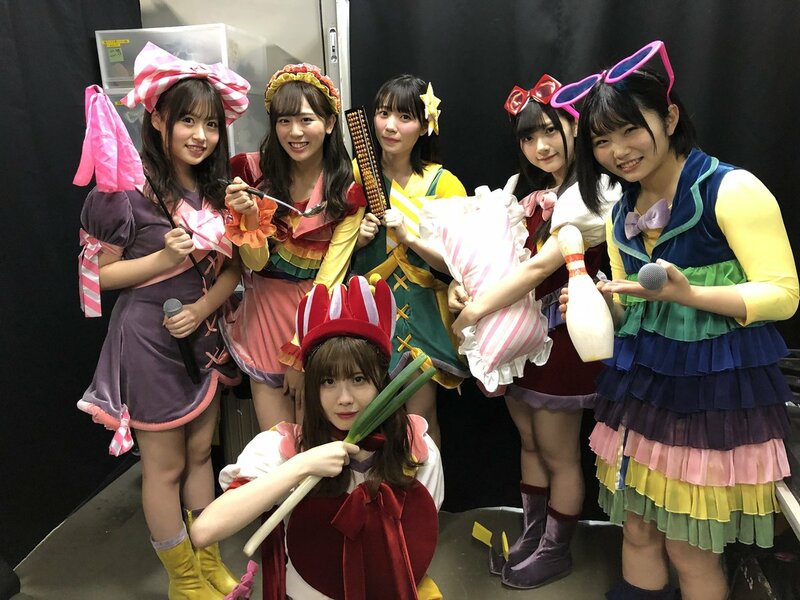 10:30 JST - 1st Generation members fan meeting, consisting of at least a performance of Te wo Tsunaginagara. The performance is on DMM. The Nishitetsu Hall lobby will also be transformed, with the 6th anniversary goods being on sale there. Those purple background photos are the also the photosets for the 6th anni. Custom member pins and plectrums from gacha. The plectrum in the second pic is Natsu's. 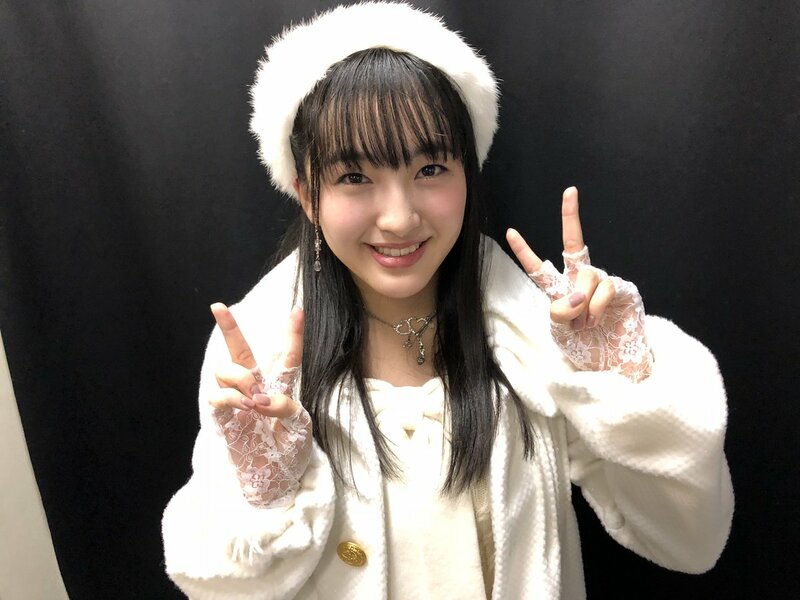 Some news: The 1st Generation event on the 26th is going to consist of a talkshow and a performance of Te wo tsuninagara by the 1st Gens, including Chiyori. The talkshow won't be on DMM, but the Tetsuna performance will be. No clue who's going to fill out the remaining 3 spots to 16 members though. so that was sakura’s big announcement? pff, we better have some good announcement at the anniversary and the album BETTER BE GOOD! No clue who's going to fill out the remaining 3 spots to 16 members though. Why is the 2nd gen getting their own fan meeting and not the 3rd and 4th? The group anniversaries are always tied to the 1st gen debut, so it's either just them... or all. so it's either just them... or all. Because November 26th is when the 1st gen debuted in the theatre? 2nd gen debuted on September 30th and yet they get a fan meeting themselves while 3rd and 4th get nothing? Why not one for every gen? Why not one for every gen? I guess they're either not popular enough to warrant one or management didn't have time or resources to organize other meetings. Never stopped management before. Also, bull . or management didn't have time or resources to organize other meetings. Anniversaries are the one thing, outside of making singles/albums, were the groups SHOULD go out of their way spend the time and resources. So the 2nd gen are going to do Nounai Paradise. And I assume Tani will be there too. I figure that they'll do something else as well, seeing that the 1st gen have some talkshow thing too. My two cents on why it's only 1st & 2nd gen, all the other gens/drafts just had a big tour or perfs/fan event fair stuff for them alone (Freshmen events). At the time many 1st & 2nd gens (and their fans) were musing about liking an event thing for them as well. So I figure this is it. Imo it's also why there isn't a lot of fuss being made about this. The 1st gen Tetsuna, 2nd gen Nounai Paradise, the Live singing show thing and the 6th anni theater perf will all be streamed on DMM. They performed the Fairy W!nk song and I really really liked it didn't expect that kind of song. As far as I understood from Twitter, all KKS were promoted. So now we have 3 teams with 16 members. H will perform "RESET" starting in December I think. KIV will perform "Seifuku no Me"
There also will be an additional Himawarigumi stage, which is a former SDN stage. So older members only, I'd assume. and Yuuwaku no Garter BRILLIANT!!!!!!!! 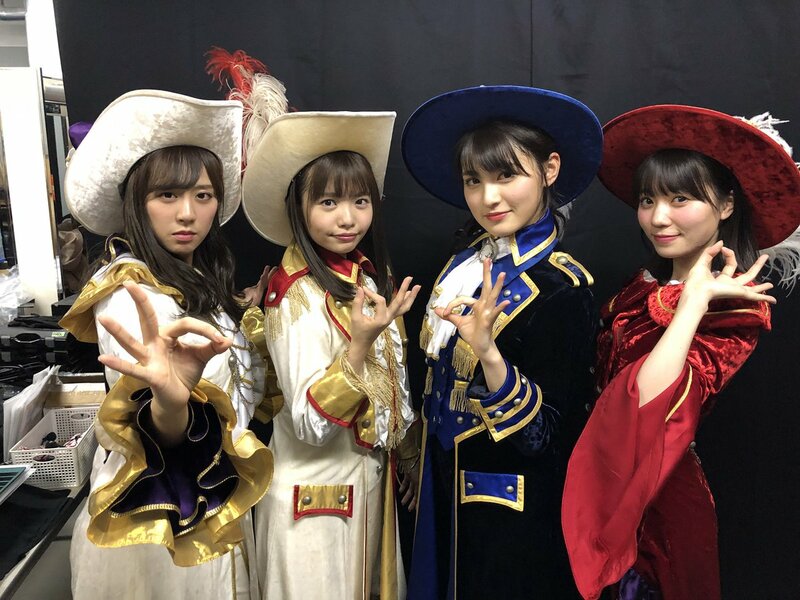 That's nice news!Also,I remember Mashiro once said that she really wanted to do Yuuwaku no Garter some day so I'm happy for her since she'll probably will eventually when she'll reach the age!I'm also looking forward for the performances of that song!There's a few member that I really hope that will get the chance to do it at least once!Like Mariri! They were expected with the draft coming up though. Can’t wait to see what TII does with all 4th gen talent! Probably the same they have been doing so far, after all TII has been performing together with 4th Gen since last Anniversary. But maybe we get Team Songs now on the next single, now that we have full teams again.